Disabled Nepalese children are often seen as cast-offs and pariahs, or as karmic punishment for the “sins” of the family. They seldom have an opportunity to become productive members of society. Only 30 percent of disabled young people in Nepal receive an education; the majority are relegated to barren lives, unable to read, write, or earn a living. From our inception, NYF has paid special attention to blind and deaf children and to children with cerebral palsy or other physical and cognitive challenges. Those who can handle a regular classroom are enrolled in school or college. Children who require more supervision and care attend a special school. We are deeply committed to giving disabled youngsters the chance to prove their intelligence and capability, find a sense of purpose, and learn to support themselves. Blind and deaf students have been a particular focus of NYF since our founding in 1990. Dietary deficiencies in early childhood and inadequate medical care result in an unusually high rate of blindness and deafness in Nepal. There are tens of thousands of blind school-aged children in the country, yet only a small percentage attend school. The story is similar for deaf children. The average cost of boarding school for a deaf child is higher than the annual income of most Nepalese families. Even though the incidence of deafness in Nepal is much higher than in the developed world, only a handful of Nepalese schools educate the deaf, at a cost few families can afford. The successes of our students with disabilities speak to the value of our scholarship program. 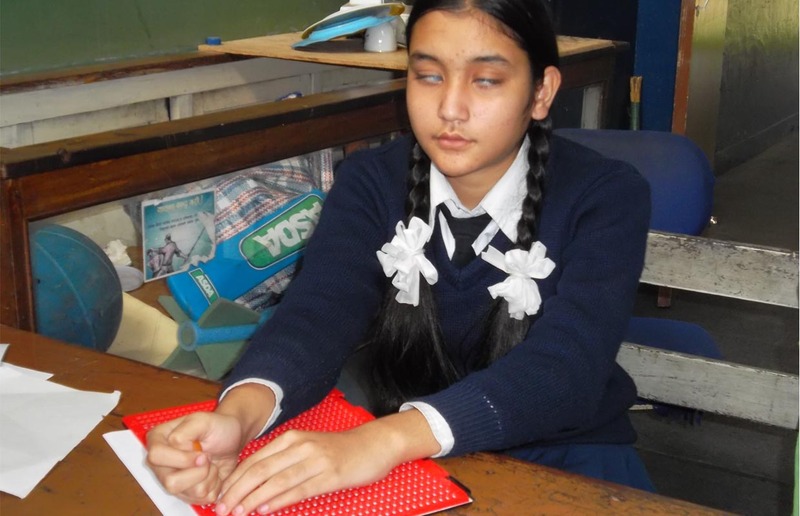 We supported the education of the only blind lawyer in Nepal. The man won a case on appeal with an argument that emphasized the potential of the disabled population—an argument worthy of an editorial in Nepal’s largest newspaper. Several of the blind children we’ve educated are now teachers in private and public schools. The first boy to graduate from J House is a physically handicapped young man who’s become a leading advocate for the disabled. He runs an organization and a center for disabled and vulnerable children. One of the first blind college students in NYF’s scholarship program won an international scholarship. She founded and runs an organization for the disabled. Several disabled students who started receiving our support in grade school are now in college or graduate school, preparing for their own careers. NYF’s commitment to giving disabled students a college education is extremely rare in Nepal, which makes our scholarship and training programs especially important: no other NGO or charitable organization offers this level of support. More than any other intervention, education offers disabled youngsters encouragement and skills, the possibility of work and purpose, and the chance to earn a living in a country whose government provides no support for the disabled. Five hundred dollars sends a blind, deaf, or physically disabled child to boarding school for one year. Your support gives that child a future that would otherwise be out of reach. A young blind man from a poor rural family describes how NYF transformed his life.